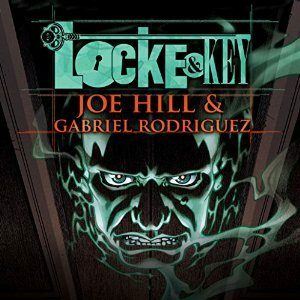 FinalRune Productions, working with AudioComics, for Audible Studios, is pleased to announce the release of LOCKE & KEY, an epic audio saga based on the acclaimed graphic novel series by Joe Hill and Gabriel Rodriguez, and published by IDW.  Featuring TATIANA MASLANY of BBC America’s Orphan Black, HALEY JOEL OSMENT (The Sixth Sense), and KATE MULGREW (Orange is the New Black and Star Trek: Voyager) in addition to a cast of over 50 actors from New England, the UK, and the NYC division of the Upright Citizens Brigade, this 13+ hour audio drama encompasses the entire six book arc detailing the tragedy that brings the Locke family to the aptly-named Keyhouse in Lovecraft, MA, where they face an evil entity seeking the power held in a very unusual set of keys…and one in particular that could bring about the end of the world. Adapted by Elaine Lee and Fred Greenhalgh, directed by William Dufris, and recorded on location utilizing the site-specific recording techniques pioneered by Fred Greenhalgh/FinalRune Productions, LOCKE AND KEY is one of the most ambitious audio drama productions undertaken by an American audio production company. The production is now available to download through Audible and Amazon, and is FREE through November 4; use our affiliate link to get YOUR copy today! Featuring the voices of: TATIANA MASLANY, KATE MULGREW, and HALEY JOEL OSMENT. Also starring: JAIME ALYSE ANDREWS, GLENN BOOZAN, PETER BROWN, IAN ALAN CARLSEN, DAVID J. CURTIS, COREY GAGNE, MICHAEL JOHNSON, MATTHEW JURE, BETSY KENNEY, AARON LOCKMAN, ROBIN MILES, BRENNAN LEE MULLIGAN, LISA STATHOPLOS, CASEY TURNER, JENNYWREN WALKER, RICHARD McGONAGLE, and special appearances by JOE HILL, STEPHEN KING, GABRIEL RODRIGUEZ, and TIM SAMPLE. With BRENT ASKARI, LANCE ROGER AXT, ASHLEY BROOKS, WILLIAM DUFRIS, RACHEL FLEHINGER, SHAWN FRENCH, JANICE GARDNER, MORTIMER GLUM, TY GOWAN, SUDI GREEN, JP GUIMONT, LISA BOUCHER HARTMAN, PHILIP HOBBY, MICHAEL HOWARD, AARON KHEIFETS, GEORGE LEDOUX, CARRIE ANNE LOOMIS, ERIK MOODY, KAT MORAROS, BEN MYSHRALL, LISA MULLER-JONES, DANIEL NOEL, JAY PISCOPO, SUSAN REILLY, TONY REILLY, NATE SPECKMAN, MICHAEL DIX THOMAS, STOWELL WATTERS and JAYLIN WISE.